The best things in life are free or pretty close to free. Whenever I go to the beach (hopefully there is a trip in my near future) I always bring home lots of shells. Most of them are picked up on my walks on the beach, but some of them I buy inexpensively. I found a great shop on Ocracoke Island that has tons of them. I can never leave there without just a few more. 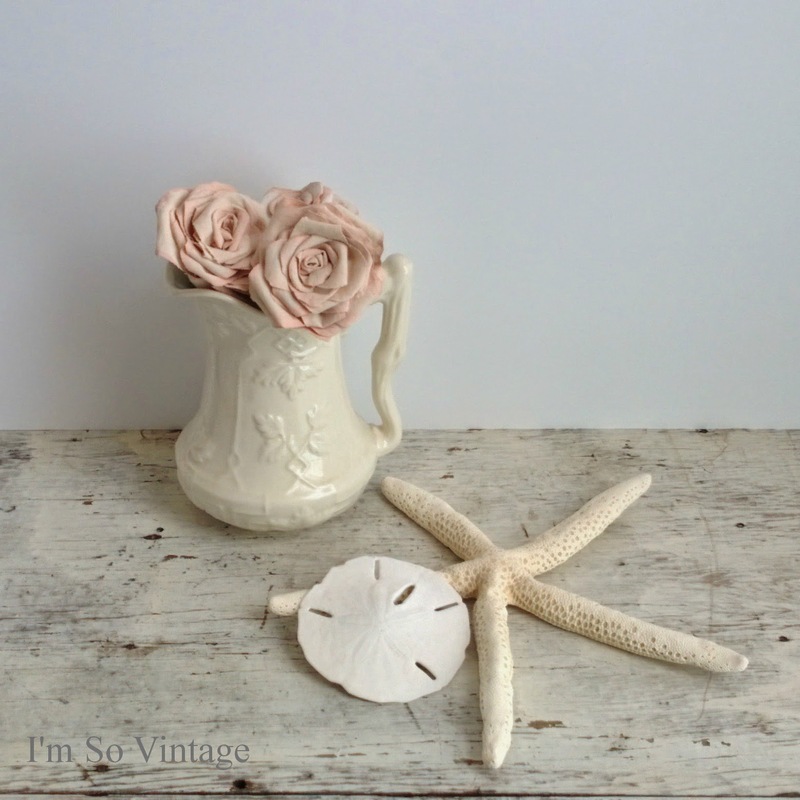 They look so pretty all year long with my cottage style decor, and in the winter they remind me of beach days. I keep a lot of the ones I find on the beach, in a bag in a closet, and when I am really suffering from the winter doldrums I pull it out and sort through them. I love how they feel and smell and yes, I listen to the sound of the ocean in the conch shells. I now have a somewhat new obsession. I have started to look for feathers. I think I must be just like a little kid when I find a new feather. I wish I knew what birds they came from. I guess one of these days I will have to take the time to research them. Look what I found in my mailbox yesterday. 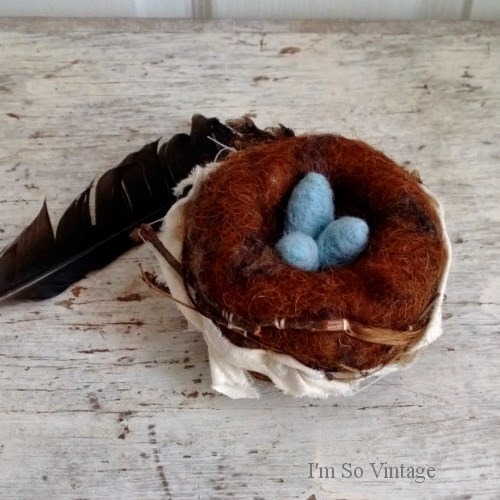 An amazing needle felted nest with eggs from my wonderful daughter Katy of Winsome Hollow. I love it. 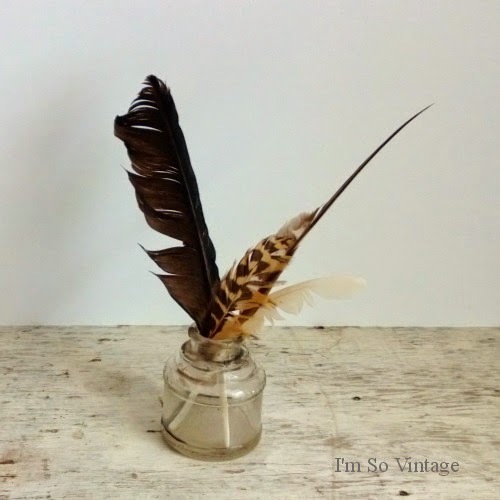 It is so perfect with my feathers. The things we find and love really contribute to a simple life. 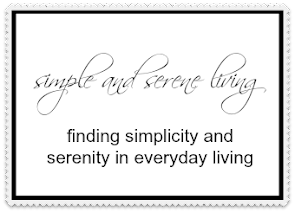 No matter what they are, if they give you pleasure they are going to add to your serenity. Do you have things that give you simple pleasure? 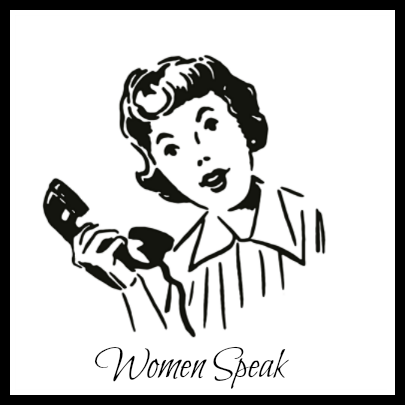 Tomorrow, Tuesday, is the first "Women Speak" forum. I am so excited about it. The topic was suggested by one of my readers. What do you do when you find yourself suddenly single. I know we are going to have a great conversation and I hope you will invite your women friends and readers. Thank you, Susie. I love my little nest. Ha! Those felted robins eggs are SO cute!! How fun! Love your felted treasures! I also have a few shells collected from our beach vacations. They remind me of the soothing beach sounds. I love those soothing beach sounds, Sandy. I bet you find some amazing feathers. You have some lovely treasures! Nature certainly does offer the best gifts! I love shells and feathers and bird nests. I have them tucked away in my basement so whenever I want to I can just bring them up and use them to look pretty. I even have twigs and pinecones. The nest that your daughter made is so cute! I've always collected sea shells and my son collects rocks. We even have rocks from a cabin in GA here with us in NC. :) It's good to see you again! Hope all is well with you!